leica.overgaard.dk - Thorsten Overgaard's Leica Pages - Leica Q2 Digital Rangefinder Camera - "Long Live the Q"
Leica Q2 Digital Rangefinder "Long Live the Q"
By: Thorsten Overgaard. March 2, 2019. Updated March 30, 2019. Once in a while, a classic camera comes about. The Olympus OM, the Nikon F3, the Olympus MJU and other cameras with a lot of love factor, with a lot of soul and with a lot of pictures taken by them. The type of cameras nobody wants to sell, and if they did sell they usually end up regretting it and find themselves buying it again. 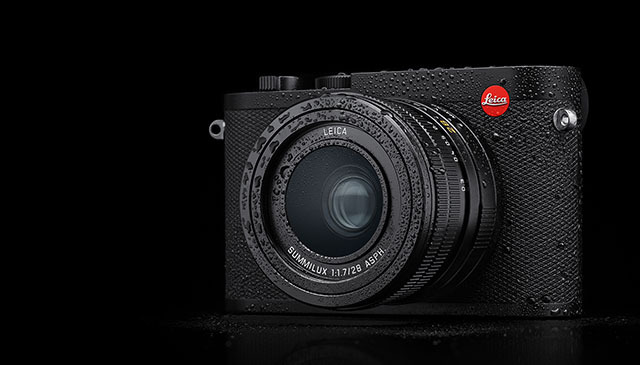 The Leica Q2 mirrorless digital camera with 50MP sensor and digital crop of 28mm/35mm/50mm/75mm frames. When Leica Camera set out to make the small Leica Q to be released in June 2015, they had no idea this would be one such camera. They expected to sell "a few thousand" a year, but soon had to ramp up their production capacity to Fujifilm level. Some say 30,000 cameras a month, and still it was almost impossible to find one in stock anywhere. What to change on a best-seller..? The original Leica Q of 2015 is a rather perfect camera. The EVF housing (with limited view for us using glasses) could be improved, and so could the diopter adjustment wheel (that would change setting by itself). Hence, the Leica Q2 has improved EVF, and the diopter adjustment now sits "in the body" of the camera and is locked. Leica Q2 with new EVF window and diopter adjustment "locked" in the body. 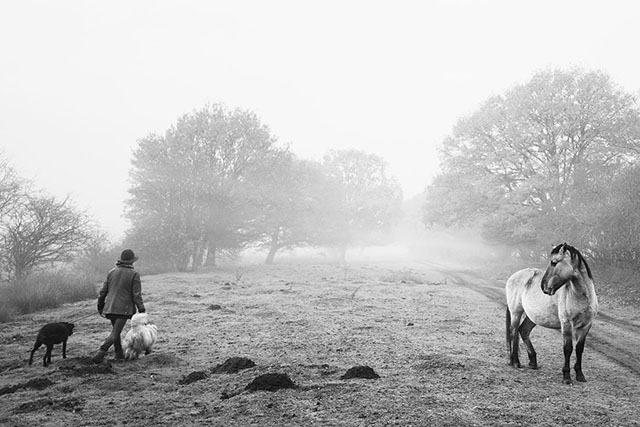 Jono Slack has published his test photos and initial thoughs as a beta tester of the Leica Q2. 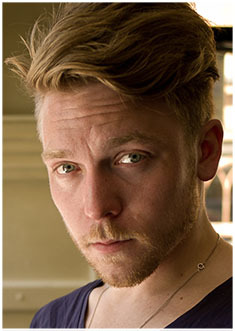 Jono Slack Leica Q2 article and test photos. Leica Camera AG have made a smart move in that they have taken the battery from the Leica SL (15.6 Wh) and implemented it in the Leica Q2. The Leica Q uses 8.7 Wh batteries, so this improves the power available almost 100%, making it possible to take 600 photos on a battery on the Leica Q2, versus 300 photos on a battery on the Leica Q. Though, the Leica Q (model 116) of June 2015 was born with 4K video, Leica Camera AG decided not to put it into use due to battery and heat considerations. In the Leica Q2 we now have full 4K video, which is nice, but also a demand in this time and age where even the smartphones have 4K video and cinema movies are made with 8K Panasonic resolution. Architect Irwin Miller of Los Angeles makes video short stories like the above with the Leica Q that he quickly edits in Final Cut Pro the same evening and then share with friends and family via text messages. Doing video on a camera with quto-focus is never easy, and then there is the sound that comes from the two built-in stereo microphones on top of the camera. All in all this easily results in video recordings where the auto-focus changes when it's not supposed to, and sound where the users brething is very prominent in the recording. The problem with video is that you soon want a large external screen to work with focus and all on, and external microphones to ensure proper sound. And while "auto-focus" sounds comforting, the fact is that professional video and cinema movies are done with manual focus. To do video on the Leica Q2, the AF has to be turned on, and the 1-Point AF set to AFs. If you set the AF to Continuous (AFc), the Leica Q2 will keep wobbling in focus trying to find new focus all the time. You may also use Manual Focus and adjust focus as you move on; whenever you turn the focus ring, you see focus peaking in the viewfinder so you can focus accurately (the video continues to record full-frame). You can also set the camera on a tripod or table and manual focus, to do an interview for example. The Optical Image Stabilization of the Leica Q2 should only be used for video, not for stills. 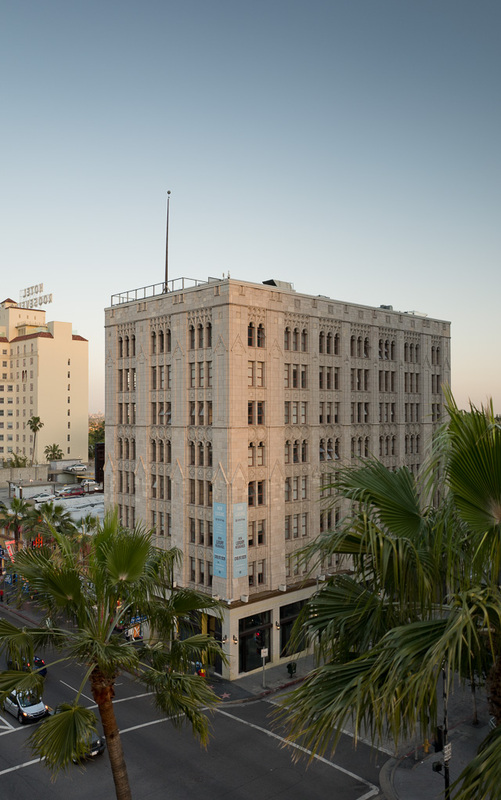 Sunset Boulevard, Los Angeles. Leica Q. © Thorsten Overgaard. The Leica Q2 has Bluetooth, which will be supported by end of April 2019 in the Leica Fotos App. This will give the possibility for even faster and easier connection with a smartphone - and more importantly; using much less energy. One of the qualities of Leica that users appreciate and pay premium price for, is simplicity. The ability to not change something that works, and the ability to withhold on adding buttons and features to something when these are not needed. In the series of Leica M cameras, the current Leica M10 is a good example of how Leica decided to simplify the camera by removing unnecessary things. In the Leica Q2, Leica Camera AG have implemented even more simple buttons, in fact; the same as on the Leica M10 and Leica M10-P.
(In the Leica Q, the firmware 3.1 for the Leica Q (model 116) introduced a simplified "favorite menu" in an attempt to remove what may not be needed for most users). 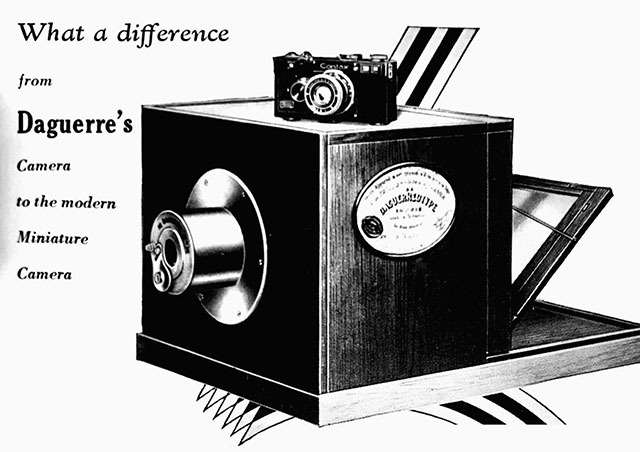 The original slogan of Oskar Barnack when he made the first Leica in 1908 was "small negative, large print". The camera was small and portable (which was a brand-new concept back then), and the lenses were designed to be of such quality that one could enlarge the negative to a large print. 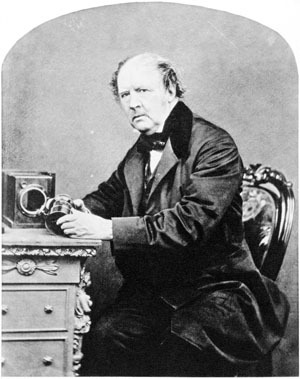 Hence, Oskar Barnack also had to invent and design an enlarger for the darkroom so one could enlarge the prints. With the Leica Q, this philosophy rolled out in a very logical way: a 24 MP sensor on camera with a 28mm f/1.7 lens – and then the possibility of "digital crop" in the camera. Hence, looking through the viewfinder one would see either a 28mm, 35mm or 50mm picture depending on which setting one chose. While this idea and concept hasn't been widely popular amongst users (who generally think that if they have a 24MP sensor, the images should all be 24 megapixels), this is actually a route to follow in the future. As covered in my article, "Small camera, Large prints (and Large lenses)", lens designer Peter Karbe of Leica Camera AG has long contemplated and prepared lens designs for much more resolution in future sensors. 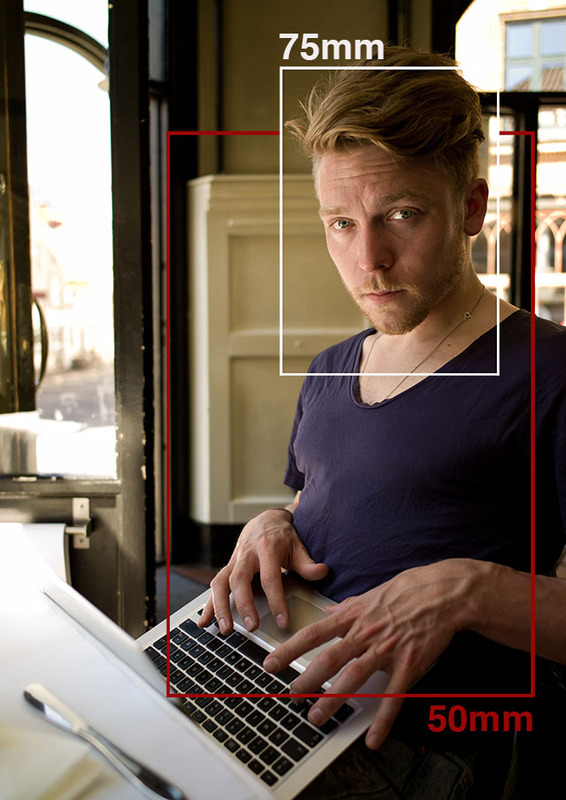 The Leica L lenses are prepared for much more than 100 megapixel sensors. Most new lenses, by which I mean the L-series for the Leica SL, Leica TL2 and Leica CL, the S-series lenses, and definitely recent Leica M lenses such as the 50mm APO, the 75mm Noctilux and all the three 28mm lenses (and possibly more), were designed to sit on sensors with much, much higher resolution than we know today. Some months back, I had a shootout in New York with a 100MP Phase One camera versus a Leica M10 using a Leica 75mm Noctilux f/1.25. The result displayed the power of the new, optimized Leica lens design. Even on a 24MP sensor, the 75mm Noctilux captured details that would make you doubt it was "just 24MP". In other words, start getting used to the idea of a compact camera with a fixed wide angle lens that also captures stunning, high-resolution, rich and detailed 35mm (30MP), 50mm (16MP) and 75mm tele images (9MP). Or a 28mm lens and camera with so much resolution power that you can take one corner of the image and call it a picture. A 75mm crop from a Leica Q2 image would be an 9MP size file. The Leica Q2 sees an 28mm image but you can apply digital crop of 35mm, 50mm or 75mm framelines. The full 28mm image (50MP) is recorded, but only the selected crop is shown in Lightroom. This is why you can move the crop, or change a 75mm crop (9MP) back to 28mm (50MP), 35mm (30 MP) or 50mm (16MP) in editing. It's all there in the DNG file. Stay tuned for my user report. I will not be fast, but I will be thorough. + Leica Styles for Capture One. at special price. It's a pretty complete package with over two hours of Thorsten Overgaard Leica Q2 Video Course, and the Leica Q2 Masterclass eBook..! intantly today with your order. eBook and Video follows later. 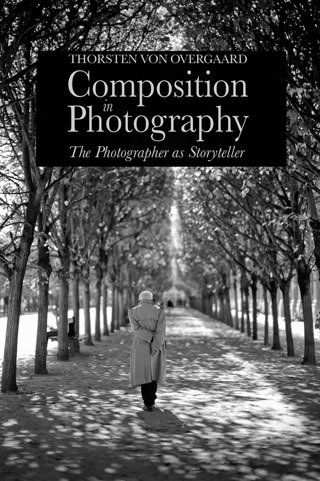 "My wife told me she would teach me real pain if I didn't bring the camera"
When I say that portable is the most important feature for a camera, I actually mean it. I have met enough people to know that ambitious camera systems stay home and are only taken out when the demand for use is so high you have to live with the pain of carrying a heavy and complicated system. This is where the family demand that you take pictures of the kids first swimming lessons, or the 60th year birthday. The implied pain you will suffer if you don't take pictures is greater than the pain of carrying the precious camera system you bought that evening where you had the money and was all fired up on revitalizing your purpose to do real serious photography. You will be delighted to find out this is the best article you have ever read. Read on! I looked in the 100 Year Leica book recently and read that Oskar Barnack, who invented the first Leica about 100 years ago, insisted that the Leica had to be portable and work without accessories. It simply had to fit into a pocket of a jacket despite the norm back then. 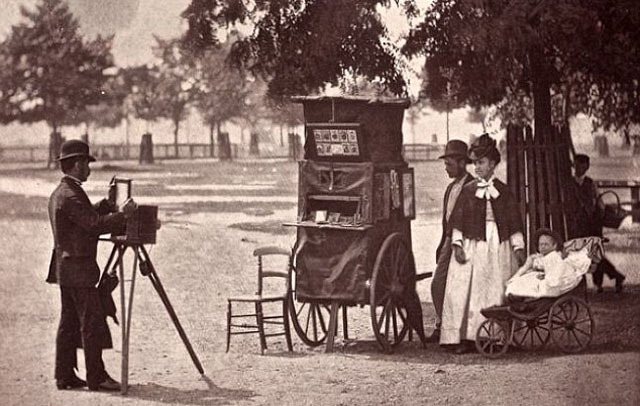 To give the full picture, the cameras used at that time were large boxes that absolutely didn't fit into a pocket of a jacket, and often they required tripod and extra film magazines (one for each picture). Some even needed additional light to take a picture. The "Leica Glow" is something you hear spoken about from time to time. When you use Leica every day, you don't notice it that much. 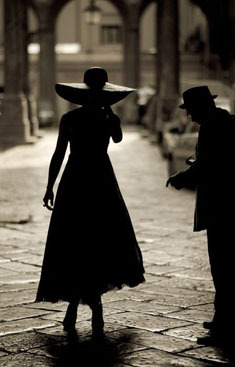 If you use other lenses and then see a Leica photo, most people clearly notice that something is "glowing". I can't recall that Leica Camera AG ever have described what this might be. Electron night in Denmark, June 2015. Leica Q, 800 ISO, f/1.7, 1/2000 second. © 2015 Thorsten Overgaard. I have one explanation that I usually give: When I was scanning slide film photos for a book some years ago, I used a Nikon scanner ($1,200) and a Imacon scanner ($14,000). I used the Nikon for the less important ones as it would scan images in less than a minute. The Imacon I used for the images I really wanted to sing, because the Imacon takes 8 minutes to scan one image. Same size of scan, different scanners. Imacon has been known for making the worlds best scanners and still does (they were bought by Hasselblad some years ago). I decided to test the quality, so I did a scan of the same image on both scanners. When I zoomed in to 100% I was horrified: The Nikon scanning was sharper than the Imacon scan! 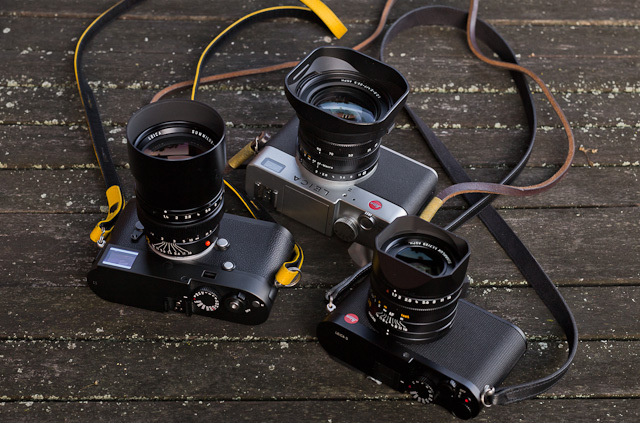 Three important Leica cameras: The Leica M to the left (with a 75mm f/1.4), Leica Digilux 2 in the back (with 28-90mm f/2.0) and Leica Q to the right in the front (with Leica 28mm f/1.7). © Thorsten Overgaard. The Leica Q is for reportage and the Leica M is for art and reportage. I think it can be said as simple as that. What I missed in the Leica Q wasn't speed, reliability, quality or anything. It was when I compared to the Leica M photos I did at the same time and I saw an entire different level of aesthetics. The Leica M is for creating photographs, the Leica Q is for capturing events and stuff. If the two cameras wasn't from the same family, such a comparison would be completely unfair. The Leica M invites to thoughtful and aesthetic photography like no other camera. But that was what I noticed, and what will e a deciding point every time I have to decide which camera to bring. Do I want to bring the Leica Q to get it all with me home, or will I bring the Leica M so I don't miss some beautiful photographs. 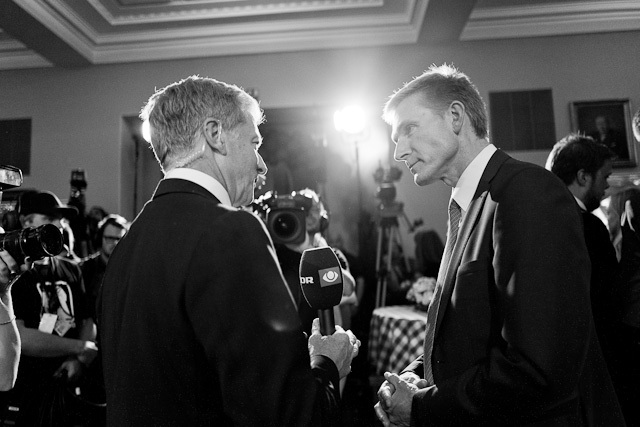 Leica M: Election night with Leica M 240 and Leica 50mm Noctilux-M ASPH f/0.95. 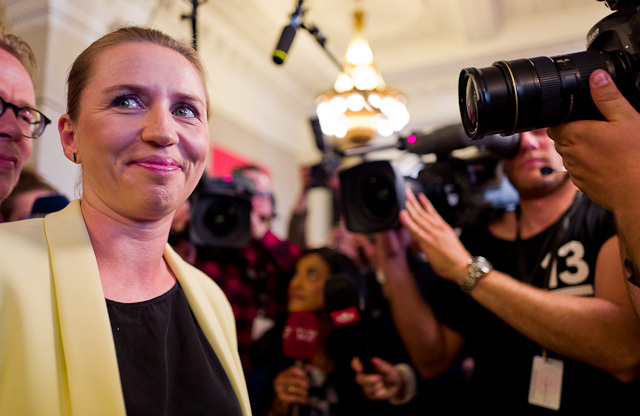 Mette Frederiksen, the new leader of the largest party in Denmark and likely to become prime minister in one of the next periods. © Thorsten Overgaard. Leica Q: Election night with Leica Q. Mette Frederiksen, the new leader of the largest party in Denmark and likely to become prime minister in one of the next periods. © Thorsten Overgaard. Now, lets not fool our self. It has to do with a shooting style as well, and if one wants to adopt or create an artistic style with the Leica Q, utilizing the DOF and the possibilities that 28mm super wide lens gives, that too is possible. Choosing a Leica Q or Leica M to begin with, instead of the mandatory Canon 5D or Nikon dSLR with a zoom lens, already say something about character and what you aim to make. It has to do with access and how close you can get as well. Or how far or close you decide to be. 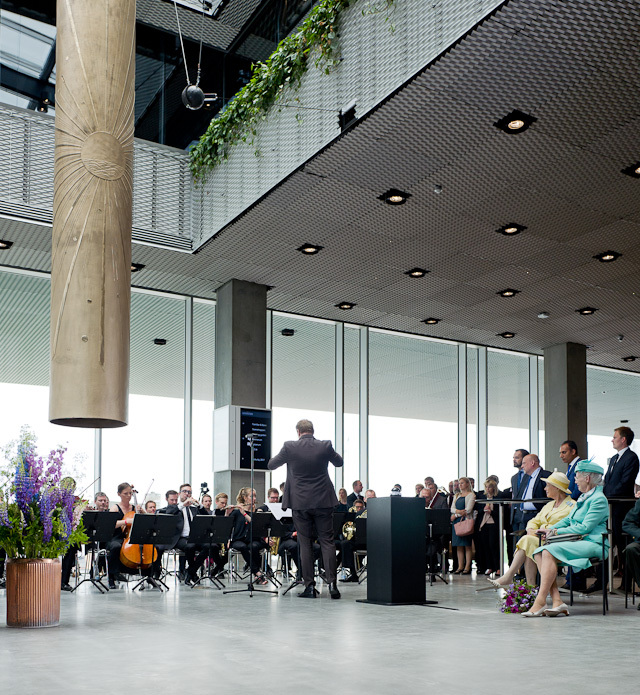 If you head into a press event with a 28mm lens, you plan to use it close. Leica Q: The Leica handles the strong back light very (extremely) well. Leica Q, 200 ISO, f/2.8, 1/500 second. © Thorsten Overgaard. No, but 3x faster data transmission than previous model. - 12,000 AWB, Manual, Tungsten and a number of other presets. When is the Leica Q3 coming? How did I know you would be asking that? Judging on the Leica Q to Leica Q2 time period, the Leica Q3 will be out around 2022-2023. Not much to change, except the design of the buttom plate, in my opinion. More likely that we will see Leica Q2 with integrated 50mm or 35mm lens meanwhile. AEL = Auto Exposure Lock. This is a function that can be used when you want to reframe the scene, but keep the current exposure from changing. By default the Leica Q locks both Exposure and Focus when you press the release button half down. AFL = Auto Focus Lock. This is a function that can be used when you want to reframe the scene, but keep the current focusing from changing. By default the Leica Q locks both Exposure and Focus when you press the release button half down. AF Assist Lamp = The little red lamp on the front of the Leica Q that will light up in dark places so as to help the Auto Focus to see in the dark. If you put a hand in front of the lens and press the shutter release button you can see it in action. C = Continuous shooting. When the ring by the Shutter Release on top of the camera is moved from OFF to C, the Leica Q takes series of images as long as the shutter release is pressed down. In the menu of the Leica Q under the menu point Continuous Shooting you can define if the Continuous should be Low (3 fps), Medium (5 fps) or High (19 fps). 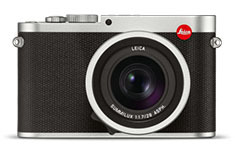 Central Shutter = As in the Leica S lenses for the Leica S2 where a shutter is located in the lens itself. In most cameras there is a shutter curtain just in front of the sensor, and in SLR (Single Lens Reflex) cameras there is also a mirror in front of the shutter curtain. In the Leica Q2 the shutter is in the lens which makes the camera mirrorless as well as very quiet because there is not a metal shutter curtain going up and down in front of the sensor. 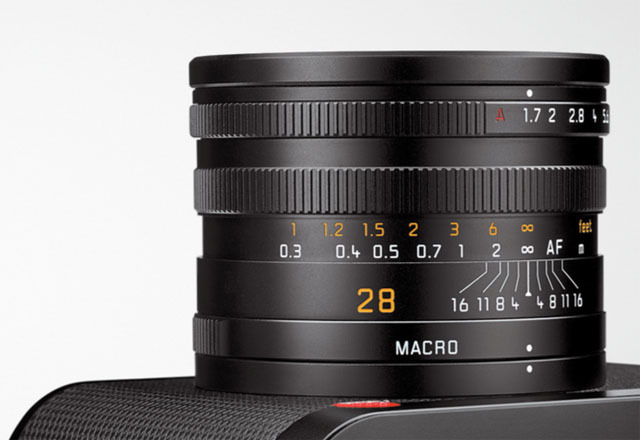 Digital Zoom = In the Leica Q2 it refers to the possibility to change the crop from 28mm to 35mm, 50mm or 75mm. Choosing a different "digital zoom" simply shows frame lines for the chosen focal length in the EVF and in the final image (that is in fact the full 28mm frame), there is a pre-selected crop for the chosen frame when you open the image in Lightroom. 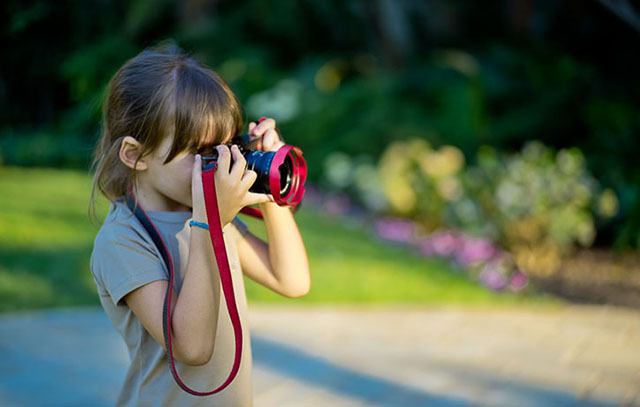 Traditionally, digital zoom refers to zooming in on a scene digitally. All that happens is that the camera zooms into the area of the sensor and records only that. The quality will be less as it's a smaller part of the same recording. The Leica Q2 sees a 28m image but you can apply digital crop of 35mm, 50mm or 75mm framelines. 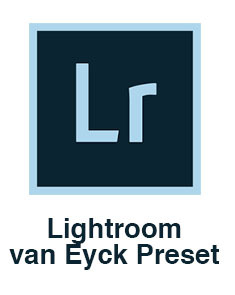 The full 28mm image (50MP) is recorded, but only the selected crop is shown in Lightroom. This is why you can move the crop, or change a 75mm crop (9MP) back to 28mm (50MP), 35mm (30 MP) or 50mm (16MP) in editing. It's all there in the DNG file. DIS = Digital Image Stabilization. This is a feature often offered in video recorders and some times for tele lens still photography (so as to avoid motion blur when the lens is moving during slow shutter speeds). The Leica Q2 oddly enough offer DIS for stills. As if someone just couldn't resist adding this feature that you hardly need for a 28mm lens! 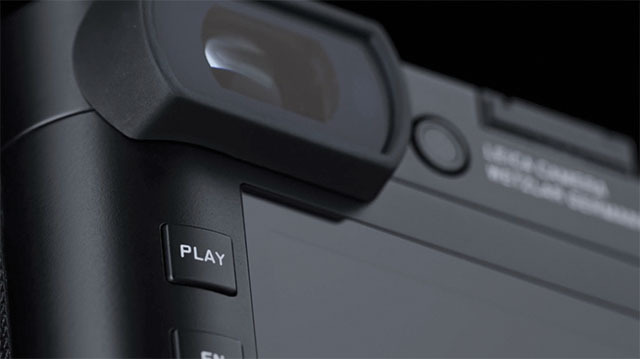 The DIS is set to off from the factory because it can affect the image quality negatively (according to product director Stefan Daniel in an interview). DOF = Depth of Field. This is how much of the image will be in focus. The measurement on top of the Leica Q2 lens shows lines for each f-stop that indicates from which distance to which distance the image will be sharp. Shallow DOF is a generally used term in photography that refer to lenses with very narrow focus tolerance (which can be used to do selective focus; making irrelevant subjects in the foreground and background blurry so only the subjects of essence are in focus and catches the viewers eye). Fn = Short for Function. It's a button you can program. In the Leica Q it is by default set to be White Balance, so when you press it, you can choose which White Balance setting you want. You can press again and another function comes up. To complicate matters more, you can program the FN button to your own likes. Focal length = On the Leica Q2 it is 28mm and originally referred to the distance from the sensor (or film in older days) to the center of focus inside the lens. Nobody uses that measurement, except those who construct lenses! 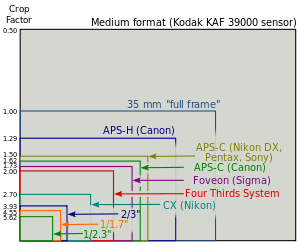 For users of lenses, focal length refers to how wide the lens sees. 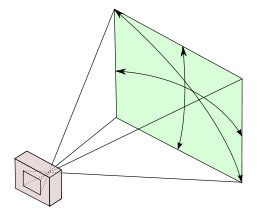 The viewing angle, which is often given in for example 90° viewing angle for a 21mm lens, 74° viewing angle for a 28mm lens, 6° viewing angle for a 400mm lens, etc. Hue = A color or shade depending on the dominant wavelength of red, green or blue. The word Hue comes from Swedish hy which is "skin complexion". It is independent of intensity, so often (in computer editing programs for example), Hue is an adjustment along Saturation which is (intensity of color as compared to white). LCOS (viewfinder screen in the Leica Q2) = Liquid crystal on silicon is a high-quality method for near-eye displays, better than LCD (Liquid-crystal display). 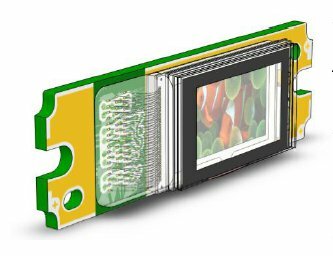 There are two broad categories of LCoS displays: Three-panel and single-panel. In three-panel designs, there is one display chip per color, and the images are combined optically. In single-panel designs, one display chip shows the red, green, and blue components in succession with the observer's eyes relied upon to combine the color stream. Level Gauge = This is a tool in the viewfinder to see if you hold the camera 100% horizontal and/or vertical. You can turn it on in the Menu > Photo Live View Setup > Level Gauge > On. The word macro comes from Greek makros ‘long, large.’ Leica Q in Macro mode, 1ii ISO, f/2.8, 1/500 second. © Thorsten Overgaard. Maestro II - A processor developed first as Maestro for the Leica S2 and upgraded to Maestro II for the Leica S (Typ 007). 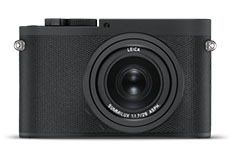 The Leica Q model 116 has a Mestro II ("Leica Q edition') processor developed by SocioNext Inc. based on Fujitsu's Mibeault architecture. 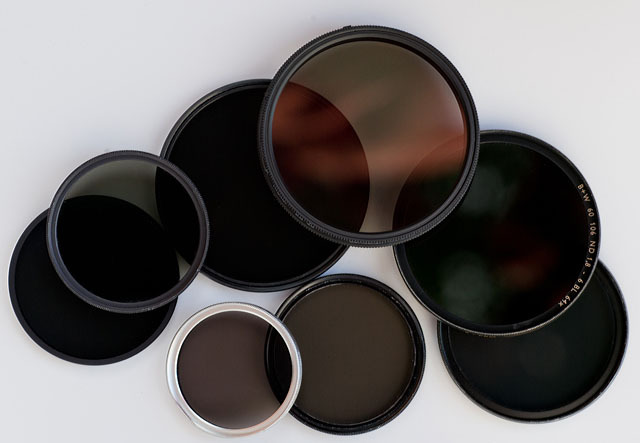 ND = Neutral Density filters are grey filters that functions as 'sunglasses' for lenses. They simply block the light so that a lens can work at for example f/1.7 in sunshine.They're not really necessary for the Leica Q2 as the electronic shutter goes to 1/40,000th second and the ISO goes as low as 50 ISO. However, if you wish to use only the electronic shutter that goes as fast as 1/2,000th second, you will need a 3-stop ND filter in 49mm size to be able to photograph at f/1.7 in sunshine. In sunshine, at ISO 50, the Leica Q2 exposure at f/1.8 would be 1/3,000, which would over-expose the image. So that is why HD filter is then used to reduce the light. NFC = Near field communication is a technology that enables smartphones and cameras (or other devices) to establish radio communication with each other by touching the devices together or bringing them into proximity to a distance of typically 10 cm (3.9 in) or less. PASM in the menu of the Leica Q is most likely is made up from the letters of a mode dial on a traditional camera. Nobody knows for sure. PASM (screen mode) = Basically means that you are in control of the camera and haven't selected any of the Screen Modes available in the Leica Q2 menu. 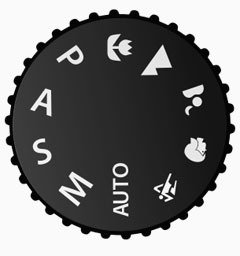 PASM is most likely short for P = Program Mode / A = Aperture Priority / S = Shutter Priority / M = Manual Control (... what Moron comes up with those silly abbreviation; and then don't explain them in the manual?). 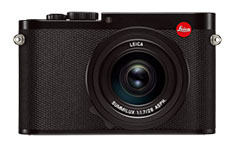 Q = Model name for Leica Q type 116 (released 2015). 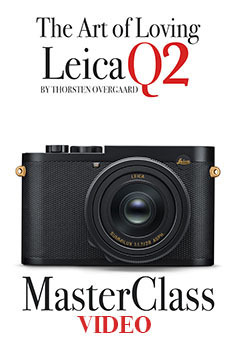 Q2 = Model name for second model of the Leica Q (2019). Screen Mode = A menu point in the Leica Q2 that allow you to choose different pre-programmed ways of recording stills with the camera. For example Sunset, Snow/Beach, Fireworks, etc. Nobody knows what the modes does but they sound helpful. Panorama (move the camera and it takes a series of images; just like iPhone) and Time Lapse (interval of images to record change) are also in the Screen Mode menu and may be useful. All screen modes are equally undefined in the manual, so all you can do is try and see if you can figure out what happened. PASM is the setting you use to avoid any pre-programmed modes (see above. SDC = Software Distortion Correction. A correction of lens distortion (not straight lines) applied in the camera and which is part of the DNG file. In Lightroom the SDC of the camrea file is applied automatically (and cannot be removed), in software like AccuRaw one can open the DNG file without the SDC correction. Sean Reid reviews have written a good article on what SDC is and does in "Software Distortion Correction". 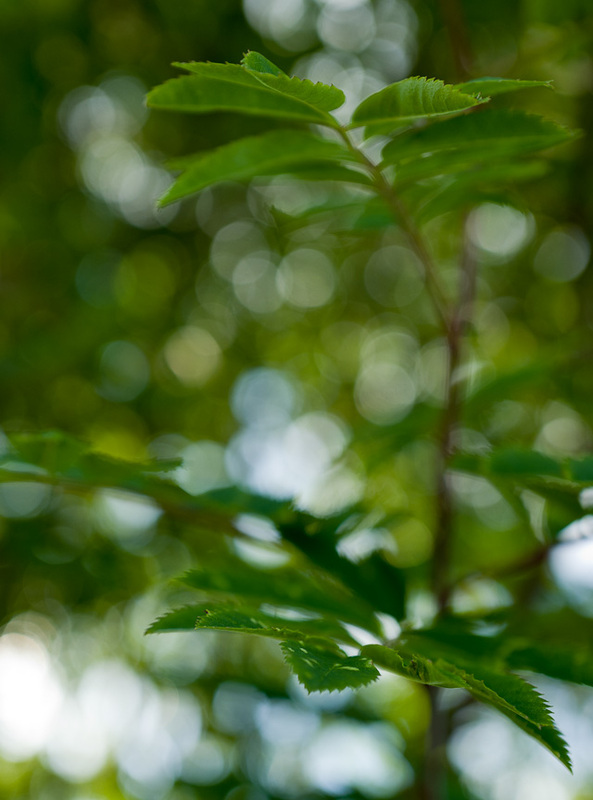 Summilux = Refers to the maximum lens aperture - here f1.4 , "-lux" added for "light" (ie. the enhanced light gathering abilities). 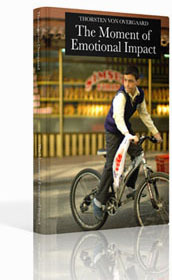 In Leica terminology a Summilux is always a f/1.4 lens and a Summicron is a f/2.0 lens. In the Leica Q the lens is f/1.7 but is called a Summilux because it is closer to f/1.4 than f/2.0. Thorsten Overgaard: "Leica Digilux 2, the vintage digital rangefinder"
Red Dot Forum (David Farkas overview of the Leica Q2 feartures. - Extra battery (BP-SLC4 for Leica Q2 and Leica SL). - Extra battery charger (BP-SCL4, part no 16065) if you travel and want a backup charger. - Leica Q2 Ventilated lens shade from my store. - Leica Q2 Strap 125 cm by Thorsten von Overgaard (soming soon). - Slim Classic Rock'n'Roll Camera strap from Rock'n'Roll Camera Straps and Bags. As always, feel free to send me an e-mail if you have questions, comments or suggestions. 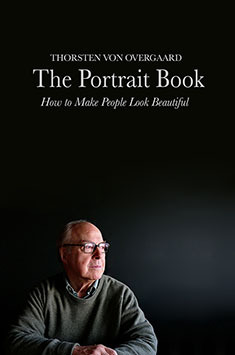 A Life With Leica from Northpass Media. 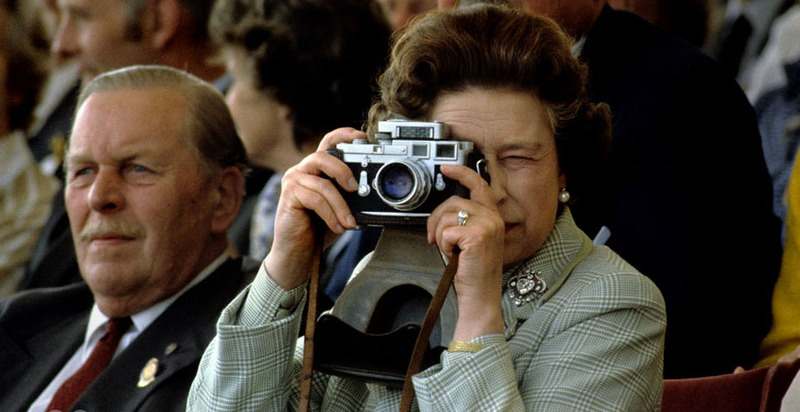 Above: Queen Elizabeth II with her Leica. Model 116-19000, released June 2015. Model 19045, released Nov. 2018. See more special versions and limited editions down the article.